Purpose: The Benevolence ministry is both an outreach and in-reach ministry which takes meals for those who are sick, had surgeries, had babies, death in the family, etc. They also do an annual Benevolence Christmas Tree which gives gifts to those in our congregation in need during the holiday season either through financial, meal, or clothing assistance. Throughout the year as well, they try to help those dealing with financial needs when possible by helping them back on their feet, and preparing them for the future with financial training. Purpose: Our card ministry sends out sympathy, encouragement, birthday, etc. cards to members of the congregation and others that are brought to our attention. The card ministry meets on the second Tuesday of each month at 10am in the downstairs kitchen. Purpose: The Blessing Basket Ministry helps prepare newlywed couples and new parents by giving them a basket pertaining to supplies that would be helpful as a new couple or parent. To submit a new couple or baby basket for a Crossroads member, please submit here. Purpose: Missions Ministry is involved in assisting other ministries abroad with financial needs, prayer, and physical needs. 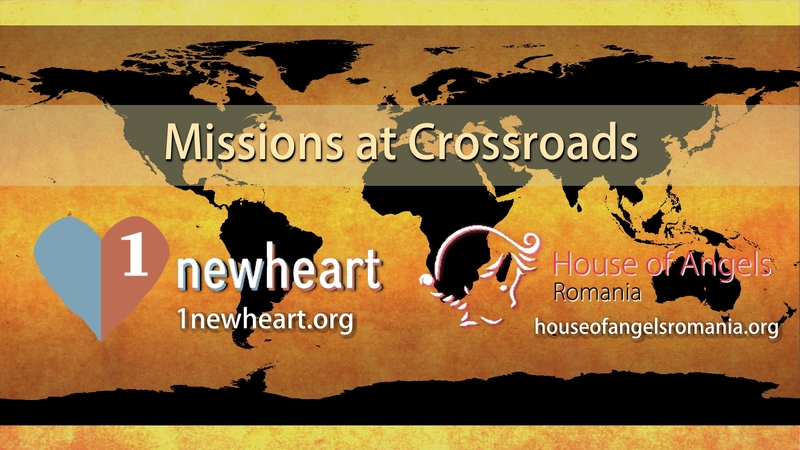 We are currently helping House of Angels in Romania, and the Dannecker Family located in Jerusalem, Israel with the 1NewHeart ministry. We also have a missions team planning on a domestic missions trip in 2017/2018. Learn more about 1NewHeart at http://1newheart.org. Learn more about House of Angels at http://houseofangelsromania.org.